 Laws of North Carolina, known as statutes, are made by the General Assembly. The North Carolina General Assembly (NCGA) is made of two bodies or houses; the Senate, which has 50 members; and the House of Representatives, which consists of 120 members. Each legislator represents either a Senatorial District or a House District. The Senate and the House of Representatives meet in their respective chambers on Monday evenings and during the day on Tuesday, Wednesday, and Thursday. The members return to their homes to take care of their affairs and be available to their constituents during the weekend. During the week, committee meetings are held in the morning and late afternoon. A great deal of the legislative work is done in the committee meetings. The House of Representatives is presided over by a Speaker, elected from its membership. The presiding officer of the Senate (called the President of the Senate) is the Lieutenant Governor of the State. She/he has no vote in the Senate except to break a tie. The Senate and House also elect other officers from their respective memberships including a President Pro Tempore in the Senate. At the beginning of each session, the President Pro Tempore of the Senate and the Speaker of the House of Representatives appoint members to serve on the standing committees of each body. There will be a dozen or more committees for each body, and their work is very important, as every bill introduced will be studied by at least one committee in the Senate and in the House of Representatives. Every legislator serves on several committees. Each house elects a Principal Clerk who is responsible for keeping the necessary records of the house. Each also has a Sergeant at Arms, who serves as "police officer" for that house and whose assistants act as doorkeepers while the body and its committees are meeting. A third officer is the Reading Clerk who reads all documents or parts thereof which the constitution, rules, or the presiding officer require to be read during the daily session. The Legislative Services Commission, consisting of five members of each house, is the management authority for the General Assembly. The Commission, through its Legislative Services Officer and staff, provides the services necessary for the day-to-day functioning of the institution.